Are you prepared for the apocalypse? Author Ron Shelton’s new release, The Bug Out Chronicles: Exodus and Exiles, tells the story of John Thompson, a Christian caught in a postapocalyptic dystopia who must navigate a world of failed economies and collapsed governments with nothing but his faith and survival skills. After the Black War, Thompson leads his family into a mountainous wilderness to elude the great tribulation and neo-government control. As relationships are tested and dangers pose immanent threats, Thompson must endure spiritual hardships with the power of Christ alone. 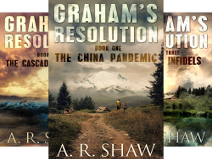 In this post-war journey, Shelton invites you to discover the reality of a Christian dystopian society and the truth behind eschatology, the rapture, and other prophecy found in the book of Revelation. 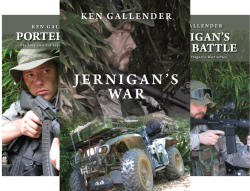 A timely Christian fiction novel that foreshadows real events, The Bug Out Chronicles combines true-to-life action, adventure, and suspense with the hope found in Jesus Christ… Read More or order now Go HERE! Would you like your book featured click HERE! 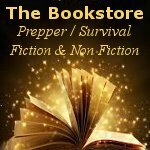 Welcome to The Prepper/Survival Book Store! Click on images below to read more or to order.